Figure Eight Island is the total package wrapped in a ribbon of sunsets in a box floating between the coastal marshes and the deep blue sea. You will be hard pressed to find a more beautiful or enchanting location anywhere on earth. Figure Eight Island is a barrier island just north of Wrightsville Beach surrounded by the Intracoastal Waterway and the Atlantic Ocean. The north end of the island is home to a brilliant maritime forest complete with Live Oaks on her dunes that have stood for over 150 years. Figure Eight Island is an entirely private island, wholly owned by its Home Owner's Association with under 450 homes on the island. It also has the only private bridge over the Intracoastal Waterway in the southeast which has a 24-hour manned guard station. The island is not accessible to the public by car. Because of its exclusivity, the beach is uncrowded and dogs are allowed on her shores year-round. At low-tide her beach grows up to 125 yards. Celebrities, politicians, and titans of industry call Figure Eight Island home at least parts of the year and share the island with its more natural inhabitants, the sea turtle. There is a Sea Turtle Conservatory on the island that is monitored daily. There is also boating, tennis and a plethora of opportunity to enjoy every aspect of both fresh and salt water environs with a boat ramp and a marina. The Island is also home to a world class yacht club, the Figure Eight Yacht Club, boasting the best in fine dining, formal event hosting, and a pool and tennis courts for their members. The Yacht Club will also arrange surf camps or private lessons. On Figure Eight Island a beach house is not just a beach house. The homes are extraordinary with spectacular views from every vantage point. Figure Eight Island is 1300 acres of paradise, just 15 minutes from the heart of Wilmington. Ready to see one of these beautiful properties for yourself? 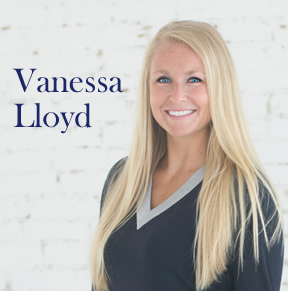 Call Vanessa Lloyd at (910) 408-7224 to set up an appointment.